Here is a list of podiatric medicine related pathology with associated links to videos and/or articles related to the topic. This is a collection that I have personally arranged that I find helpful. This page is a work-in progress and will be continually updated. Personal case examples will be added when available. Vlahovic T. A guide to biopsy techniques. Podiatry Today. 2017, 30(6). Urits I, et al. Complex regional pain syndrome, current concepts and treatment options. Current Pain and Headache Reports. 2018, 22(10): 1-9. Weissmann R, et al. Pediatric complex regional pain syndrome: a review. Pediatric Rheumatology Online Journal. 2016, 14(29): 1-10. Dore, Robin K. The gout diagnosis. Cleveland Clinic Journal of Medicine, 2008. 75(5). Burns, Christopher M. Latest evidence on gout management: what the clinician needs to know. Therapeutic Advances in Chronic Disease. 2013. 3(6): 271-286. Abdullah S.Gross synovial fluid analysis in the differential diagnosis of joint effusion. J Clin Pathol, 2007. 60(10): 1144-1147. Hood CR, Morrison SE. Recognizing nerve injuries in patients with acute ankle sprains. Podiatry Today. 2018. 31(11). Beskin JL. Nerve entrapment syndromes of the foot and ankle. J AM Acad Orthop Surg. 1997. 5(5): 261-269. Hirose CB, McGarvey WC. Peripheral nerve entrapments. Foot Ankle Clin. 2004. 9(2): 255-269. Pomeroy G, Wilton J, et al. 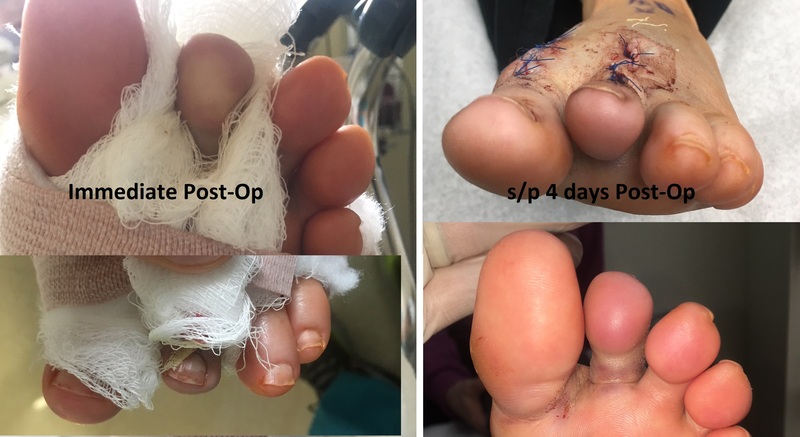 Entrapment neuropathy about the foot and ankle: an update. J Am Acad Orthop Surg. 2015. 23(1): 58-66. Delfaut EM, Demondion X, et al. Imaging of foot and ankle nerve entrapment syndromes: from well-demonstrated to unfamiliar sites. 2003. 23(3): 613-623. Donovan A. Rosenberg ZS, et al. MR imaging of entrapment neuropathies of the lower extremity. Par 2. The knee, leg, ankle, and foot. Radiographics. 30(4): 1001-1019. Ravenell, Rahn. Vasospastic disorders, ischemic digits, and the use of epinephrine in digital surgery. Podiatry Institute Update, Chapter 30. Jones BH, et al. Prevention of lower extremity stress fractures in athletes and soldiers: a systematic review. Epidemiol Rev. 2002, 24(2): 228-247. Mandell JC, et al. Stress fractures of the foot and ankle, part 1: biomechanics of bone and principles of imaging and treatment. Skeletal Radiol. 2017, 46(8): 1021-1029. Patel DS, et al. Stress fractures: diagnosis, treatment, and prevention. Am Fam Physician. 2011, 83(1): 39-46. Saxena A, et al. Navicular stress fracture outcome in athletes: analysis of 62 injuries. JFAS. 2017, 56(5): 943-948. Ihantsenka B. Ultrasound: basic understanding and learning the language. Int J Shoulder Surg. 2010, 4(3):55-62.